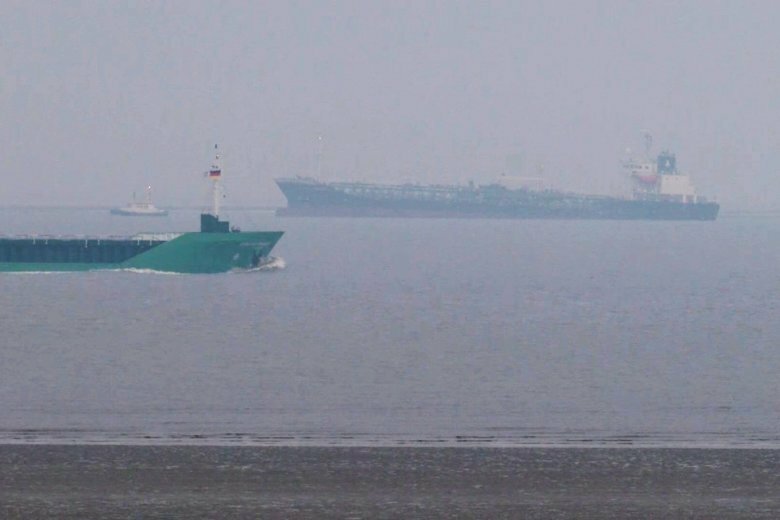 BERLIN (AP) — German news agency dpa says a tanker ship carrying 9,000 metric tons (nearly 10,000 U.S. tons) of hazardous goods has run aground on the Elbe river near Cuxhaven in northern Germany. Dpa says nobody was injured and there is no leak in the ship. Experts have been called to find out how to refloat the tanker. The ship, Oriental Nadeshiko, which has a Panamanian flag, ran aground early Monday. Its load includes chemicals such as dissolvers and hydraulic fluids.